Polymer based internal curing agent of concrete - MUHU (China) Co., Ltd.
Super absorbent polymers (SAP) is the polymer based internal curing admixture were an efficient functional water absorbent materials. When it is added into concrete, it can absorb 30-40 times of water, which is stored up to slowly release. Saturated SAP can absorb internal water content and can prevent moisture loss outwardly. When the temperature effect produces the increased migration potential, water will get rid of the adsorption of SAP. Water will migrate from high potential of humidity to low potential of humidity, so that the migration potential gradient is reduced. This makes the internal concrete humidity evenly distributed in order to reduce the humidity difference. After adding this product, it can effectively prevent cracking of concrete, increase the strength of concrete and improve concrete antifreeze and impermeability. Concrete with water-absorbent is recommended to use in arid, windy, weathered and cold areas. 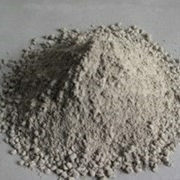 thousandth of cement, about 380-400 grams are mixed with 1 cubic meter of concrete (dry mix). 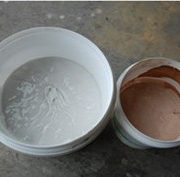 After using SAP, the increased water-cement ratio is about 0.02-0.03. It can be compounded with polycarboxylate superplasticizer to reduce bleeding problem. 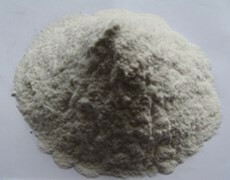 The dosage is 5-10 kg concrete curing agent for one ton of polycarboxylate superplasticizer. Depending on the bleeding, the amount can be adjusted to increase. (Adjust to 4% -5% of initial concrete air content). When the performance of concrete mixing material is the same, SAP’s concrete 28 days age can experience more than 300 times of fast freezing cycle. Its 56 days electric flux is the same as the standard. These show that concrete’s frost resistance and self-ion permeability of curing agent are not reduced. When mixed SAP concrete suffers single side salt freeze and after there are 28 days freeze-thaw cycles, flaking quantity is only 0.057 g / cm2, which is slightly lower than that of reference concrete and far less than 0.15 g / cm2 of specification value.